Johannes Mueller knows he is on the run of a lifetime right now. The 54-year-old restaurant owner from Rochester, New York has added another trophy to his mantle after winning the Borgata Spring Poker Open Event 5: $340 Seniors NLHE Reentry. "I've been running really good the last four months," he admitted. That's an understatement of sorts. His run started with a fourth-place finish for $14,558 at the Niagara Falls Fall Poker Classic Championship Event. He followed that up with a win in Verona at Turning Stone for $20,259 and a little more than a month later won a limit Omaha-8 title at the Borgata Winter Poker Open for $14,428. Two more final table appearances brought him here today hopeful of another deep run. 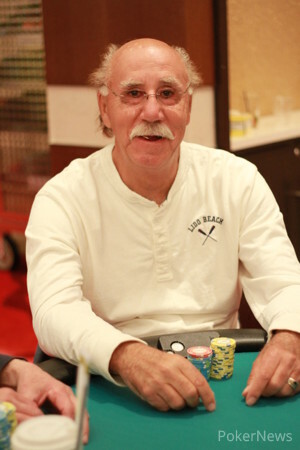 That mission was accomplished after prevailing heads up over Papa Levy for the title and the addition of another $14,656 to his poker bankroll. "I'll play tomorrow," he told us while posing for his photo and then added, "But then it's back to work for me." The Seniors Event ended up with 197 entrants and a prize pool of $57,327. Among those who would take their seat to play some cards but would fall short in their attempt to make a deep run were Kenneth Lind, Onofrio Reina, Timothy Little, and actor James Woods. Making a deep run and cashing was the recently deceased Mike "Little Man" Sica's nephew, Joe Debonis who would finish in 17th place ($860). Also cashing was the aptly-named Diane Casino in 15th place ($1,003). Dennis Dekenipp held the chip lead for the majority of the time before getting into the money, but he would end up having to settle for 13th place ($1,003). Robert Toft would hit a huge hand with 13 players remaining that would send two players to the rail and cripple a third player to the point that he was eliminated on the very next hand. 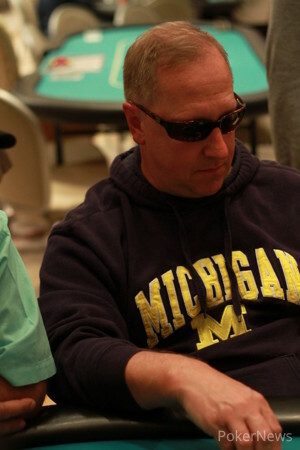 From there, Toft would end up finishing in sixth place ($2,866). That hand would not even be the most dramatic hand of the evening, though. Those honors would go to a four-way all-in clash at the final table that saw four pairs, all big pairs, turned over after all the chips were in. 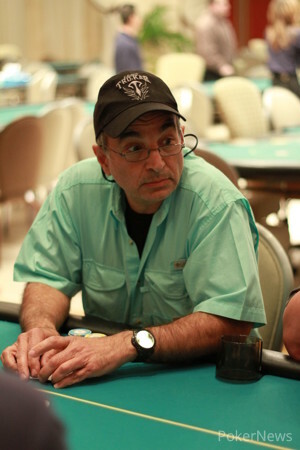 It was Papa Levy who held the best hand with aces and the rockets would prevail, shooting Levy to the top of the chip counts and eliminating two players in the process. Others to cash in at the final table included Chris Edwards (9th - $1,290), Addison Alston (5th - $3,440), Lou Manges (4th - $4,586), and Dean DelleDonne (3rd - $5,446). Despite the massive pot he won, Levy would end up coming just a bit short of the title when his pocket fives were dominated by Mueller's pocket sixes. He would collect $12,000 for his second-place finish and Mueller would take home the rest of the prize money, $14,656, for his first-place finish. It was an exciting tournament and we expect to see more of the same over the course of the next two weeks. Tomorrow, the $1,000,000 guaranteed $2,700 Spring Poker Championship tournament gets underway. PokerNews will be here for continued coverage of that event as well as the rest of the Borgata Spring Poker Open action. Follow along to see who the next big winner is! 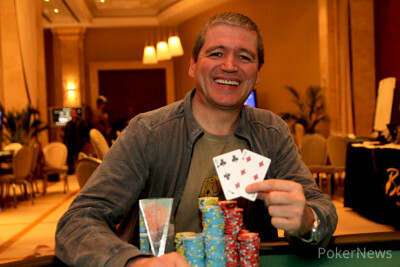 Papa Levy and Johannes Mueller agreed to a $12,000 split of the prize money and to play for the remaining $2,656. Once that deal was agreed upon it was only a few moments before the two would tangle in an all in confrontation with both players holding pocket pairs. Levy had and Mueller had . "Come on 5 baby," Levy said, standing. Mueller sat there quietly waiting for the dealer to put out the flop. was the flop and Levy still needed help. was the turn and Mueller shifted back in his chair, anticipating the victory. The river was the and a gracious Levy shook Mueller's hands, somewhat content with his excellent 2nd place finish and $12,000 pay day. Dean DelleDonne got the last of his chip in ahead of his opponent, Johannes Mueller, with as Mueller had . That lead did not last long though as the flop came and when the turn and river came running we were down to our final two. After Papa Levy doubled through Johannes Mueller with against , he would then knock out Lou Manges after Manges moved all in with and Levy woke up with . After the board ran out , Levy let out his trademark "send it to Papa!" yell and clapped his hands in jubilation. Manges said "good game guys" and it was for him with his excellent 4th place finish. 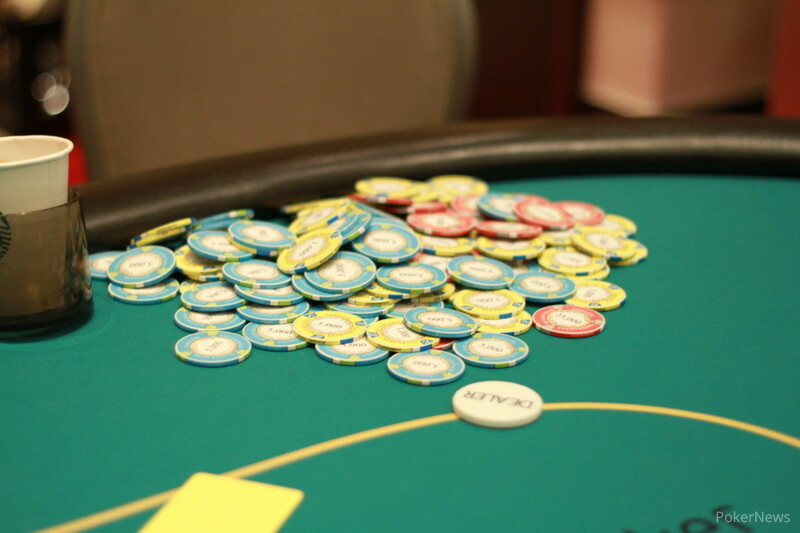 Players are on a quick break and here are the chip counts as they stand right now. Dean DelleDonne opened to 90,000 and Addison Alston moved all in for his last 220,000. DelleDonne made the call and turned over . We were off to the races as Alston had . The flop came and it was all over when the came on the turn. The river was an irrelevant and DelleDonne clapped his hands and exclaimed "Yes!" before shaking Alston's hand. 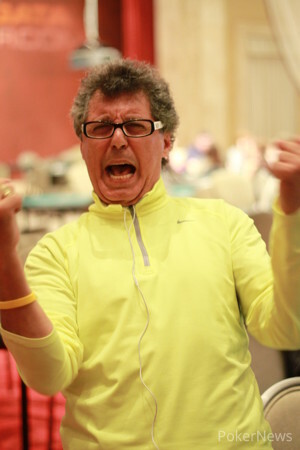 Papa Levy just doubled up Dean DellaDonne when he called DellaDonne's all in re-raise with . He was crushed as DellaDonne had and no miracle came for Levy and DellaDonne has moved slightly ahead of Levy in the chip counts.